Comments actor and producer Tom Hanks made in interviews regarding the conflict with the Japanese during World War II are sparking controversy. In an interview with Time magazine, Hanks, who starred in the World War II drama "Saving Private Ryan" and produced both "Band of Brothers" and the current HBO series "The Pacific" with Stephen Spielberg, compared the Japanese conflict to the current wars in Iraq and Afghanistan. "Back in World War II, we viewed the Japanese as 'yellow, slant-eyed dogs' that believed in different gods," he told the magazine. "They were out to kill us because our way of living was different. We, in turn, wanted to annihilate them because they were different. Does that sound familiar, by any chance, to what's going on today?" Hanks brought up the comparison again while promoting "The Pacific" during an appearance on MSNBC's "Morning Joe." "'The Pacific' is coming out now, where it represents a war that was of racism and terror. And where it seemed as though the only way to complete one of these battles on one of these small specks of rock in the middle of nowhere was to - I'm sorry - kill them all. And, um, does that sound familiar to what we might be going through today? So it's-- is there anything new under the sun? It seems as if history keeps repeating itself." The remarks have stirred a backlash from conservatives. Fox News' Bill O'Reilly said Hanks is trying to "inject racism" into both wars. "We had to kill the Japanese because the Japanese wouldn't surrender, period…and the jihadists, if they were Thais, Burmese, and they attacked us, we'd be doing the same thing today," O'Reilly said on Saturday. 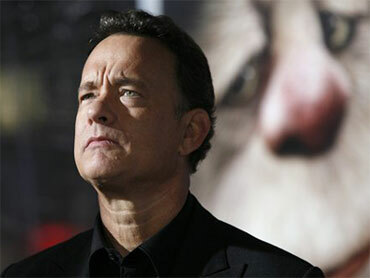 Karl Rove, in an interview with O'Reilly on Monday, said that Hanks is "impervious to rational discussion." Rove said Hanks is "a wonderful actor, he's a superb director, he's a good storyteller, but he's a conventional Hollywood liberal…He receives his opinions in whatever they drink or smoke or eat out there in southern California in the acting community." Hanks defended his remarks to CNSNews.com during an appearance at the World War II memorial in Washington on Thursday. "I said it's familiar with what's going on today," he said. "You can walk into the National World War II museum in New Orleans, in the Pacific wing, and Steven Ambrose himself has made that very point. It's up in black and white, that after Pearl Harbor, these people that were very, very different from each other, the Americans and the Japanese, who had different heritages, who had different theologies and different ways of government, had a different sense of society went at it tooth and nail." Hanks continued, "I have talked to all sorts of people who have, in the vernacular, used incredibly racist terms about the people on the other side of the fence, and we can see all the time that comes over in the regular news media from their side, from the other side, terms that can only be viewed as racist. But let's just take the word 'racism' out of it and put 'ignorance' instead, because it's, racism, is a mere virulent form of what that ignorance is." I'd like to think that as our time has gone by and as Americans have found themselves in 2010, ignorance is being replaced by a certain amount of enlightenment and racism is going to be replaced eventually by an acceptance. It's just taking an awfully long time."